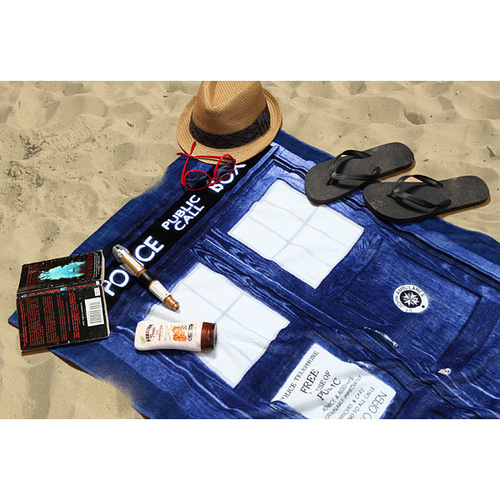 Doctor Who - Tardis Beach Towel | No beach-going geek should leave home without it! 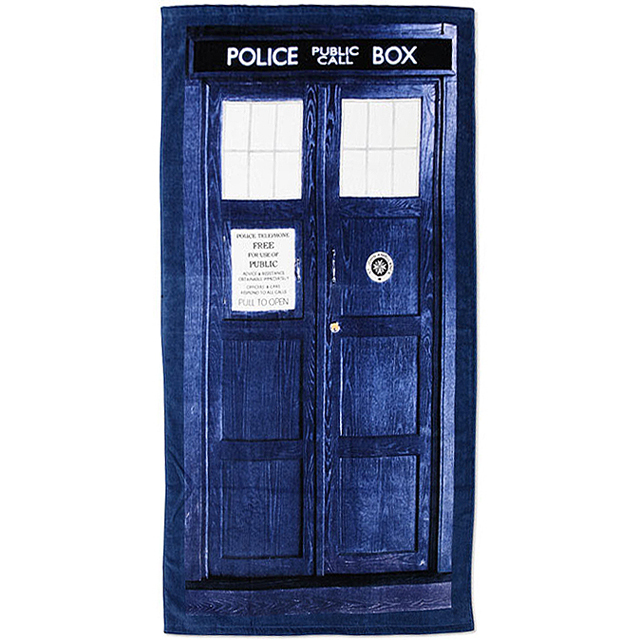 Made from 100% cotton, your officially licensed Doctor Who Tardis Beach Towel may not be bigger on the inside, but it does measure 152.5cm long and 74cm wide. An ideal gift for Dr Who fans in summer! Designed to simulate the appearance of the time lord's preferred method of travel, your Tardis Beach Towel features the front door of the Doctor's time machine, complete with iconic phone box windows and St John's Ambulance badge. So when you manage to leave your DVD's behind you in the warmer months, share you passion with those at the beach or beside the pool. No beach-going geek should leave home without it! 100% cotton beach towel (machine washable). Officially licensed Doctor Who merchandise. Dimensions: 152.5cm (l) x 74cm (w). Thank you, my partner loves his new beach towel. This towel is large and soft and truly an impressive Dr Who product! A serious towel for serious fans with it's fancy design. Again CoolThings service was second to none.